Diane - Laurie (2:53) (155lbs), Annie (3:31) (Rx), Candice 3:57 (185lbs). 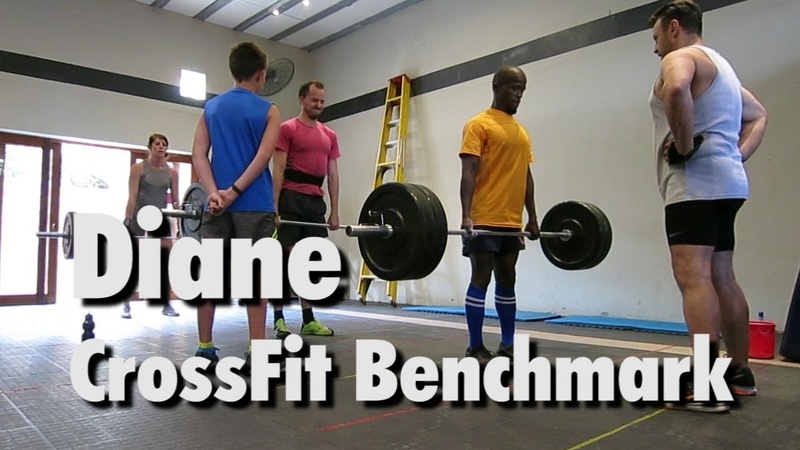 Add a video for "Diane"
"Diane," one of CrossFit's original six "Girls" WODs, was first posted on crossfit.com as the workout of the day for Friday, June 25, 2004 (040625). See also: A variant of this WOD, which replaces handstand push-ups with handstand walks is "Roaming Diane." 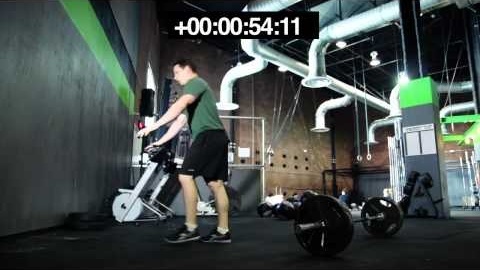 "Diane" was also programmed as a CrossFit Regionals workout in 2012 ("Regionals 12.1"). A September 2013 CrossFit Journal article stated: "not only does ["Elizabeth," "Diane" and "Fran"] combine weightlifting and a calisthenic element but is a powerful whole body workout containing functional hip, pushing, and pulling movements. But the crushing charm of these ladies lies in their magnificent capacity to root out weaknesses and humiliate you with them. 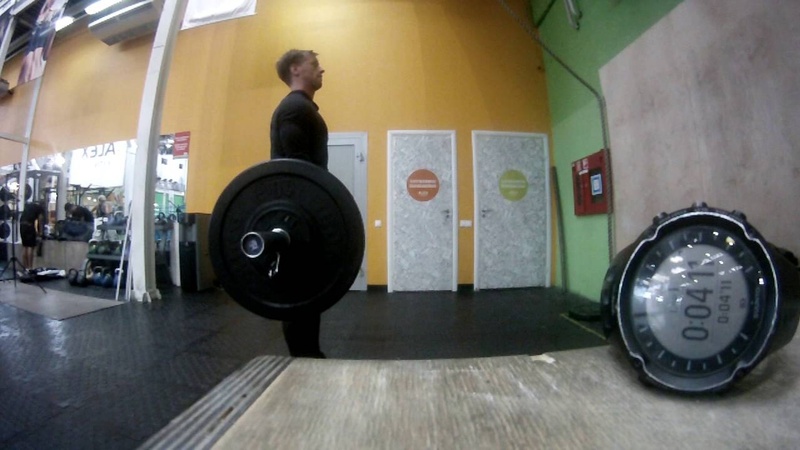 For many athletes the high rep deadlifts at 225 pounds, cleans at 135 pounds, and thrusters at 95 pounds are easy. For these same ahletes handstand push-ups, ring dips, and pull-ups are very likely deficiencies. Typically, these athletes are larger. Similarly, those athletes for whom handstand push-ups, pull-ups, and ring dips are a breeze are nearly certain to bristle at these loads and high reps in the weightlifting. Typically, these athletes are smaller. Do these workouts favor middleweights? It doesn’t seem so. The middleweights seem to suffer at both ends." See also: "Regionals 12.1," "Open 18.4"